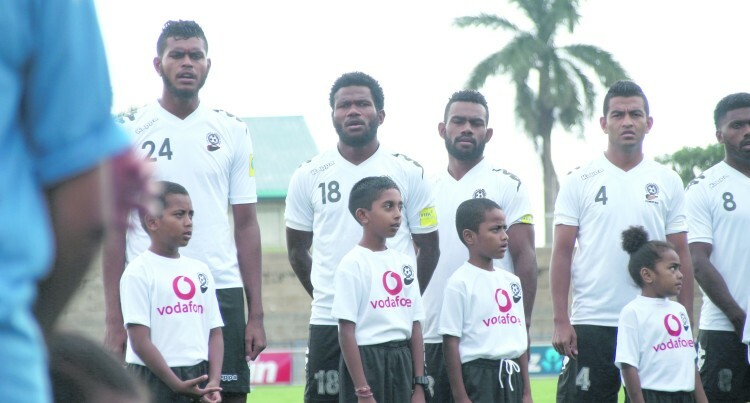 The Vodafone Fiji football side lost to Estonia 2-nil during an international friendly match at Suva’s ANZ Stadium last Sunday. The Christophe Gamel coached home side did impress the home fans with glimpses of constructive football. The visitors started with a series of attacks on the Fijian goal which saw striker Henri Anier capitalise in the 13th minute. Fi j ian goalkeeper, Epel i Loaniceva could not keep out Anier’s low drive towards goal. The home side slowly settled and started finding some rhythm cre­ating some chances of their own. Fijian striker Saula Waqa could have leveled scores late in the first spell but good defence from Estonia saw the visitors leading 1-nil at half-time. Fiji kept up the tempo in the sec­ond spell, strengthened with the Waqa and SamuelaNabenia com­bination. Waqa and Nabenia who had come off the bench, tried their best but could not find the back of the net. Substitute, Martin Miller sealed the match for Estonia scoring their second goal in the additional minutes of the second spell. Gamel was impressed with his team’s performance but said the two goals conceded could have been avoided. “I am disappointed with the goals which we have conceded, but I am happy with the type of play since Estonia is a professional team and they have played 80 international matches in the last two years. This is incredible,” Gamel said. Gamel expressed his disappoint­ment on some players who failed to follow simple rules. This puts him under pressure as he has to go through the whole process again with some other players. “There is a big energy lost each time I start the process and at times the players are not taken care of by the districts. “They come overweight by 10 kil­ograms. I had to drop them as they are not fit for this kind of teams for they would not last after 30 min­utes,” he said. The national side will now pre­pare for the Pacific Mini Games which will be held in Vanuatu next month.